Four years ago we created a free website to promote one of Carterton’s fabulously unique days, The Great Carterton Wheelbarrow Race. The day comprises many events and activities, including kids and adults races, mobility scooter race and decorated barrows and more. The highlight, however, is the Gladston To Carterton Endurance Event. 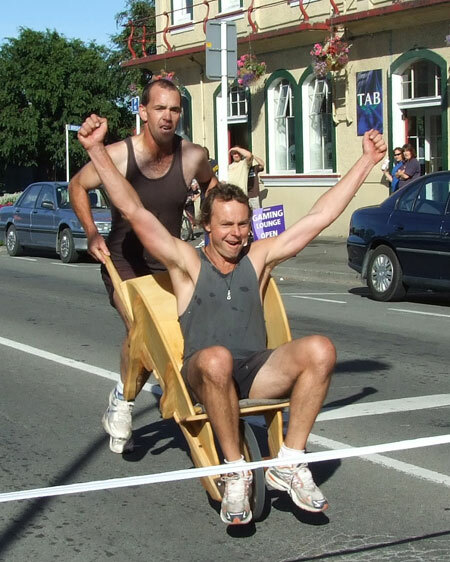 For this, two mad (and madly fit) competitors take it in turns to push each other in a wheelbarrow the whole 13 kilometers from Gladstone to Carterton! The race celebrates the story of one of the Wairarapa’s earliest settlers, Samuel Oates. Family legend says that Samuel started working for Charles Rooking Carter (one of Carterton’s founding fathers who the town is named after) almost as soon as he arrived in New Zealand in January 1856, assisting with the construction of a hotel and a butcher’s shop. Carter then asked him to take some goods to his Wairarapa farm. 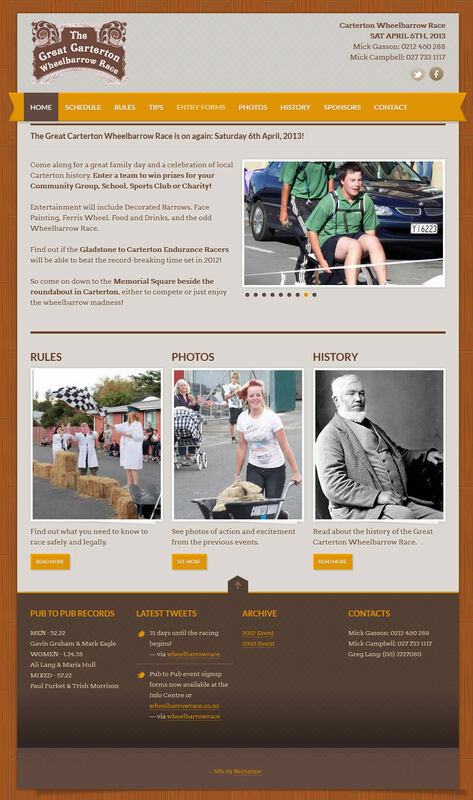 Samuel’s three-day journey over the Rimutakas, pulling and pushing a substantial wooden wheelbarrow, became Wairarapa legend. We’re looking forward to continued involvement with the WheelBarrow Race over the coming years, and Minty’s aiming to do better than his previous 5th placing at the Strongman competition!